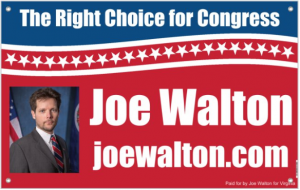 This is Joe Walton and I am kicking off my campaign for the 7th Congressional District of Virginia as the Libertarian Party of Virginia’s nominee for the 2018 mid-term election on November 6th. Many of you know me from my tenure on the Powhatan County Board of Supervisors several years ago while many of you know me professionally or personally. An overview of my prior service and biography are available here; and helpful chart about the Libertarian platform as a middle path between the political left and political right is here. For those in central Virginia, the 7th District includes the counties of Powhatan, Goochland, Orange, Culpeper, Louisa, Nottoway, and Amelia and western portions of Chesterfield, Henrico, and Spotsylvania. You may see if you are in the 7th District here. The 7th District seat has been held recently by Tom Bliley, George Allen, and Eric Cantor; and the incumbent is Representative Dave Brat. As you all know, I am raising a family in Powhatan, completing my PhD in Public Policy, and working professionally while being keenly aware of emerging social and economic challenges and new pressures on our communities. These political realities are opportunities I understand from my prior service, education, and personal accomplishments. As I think about the future being handed to my daughters, I know I cannot stand idly by waiting for others to solve problems. So, I decided to run for Congress. My campaign is focused on preparing Virginia and America for a future of new societal and economic realities while maintaining the essential qualities which made Virginia and America models for the rest of the world in so many areas of civic life. I believe in limited government and maximized freedom for free thinking people of good conscience in the tradition and practice of Thomas Jefferson – socially inclusive, fiscally responsible. Those principles are both sensible and centrist in a political atmosphere increasingly polarized by the two major party machines. My sensible centrist and “fiercely independent” (I borrowed that phrase from 2016 Libertarian nominee for President Gary Johnson, now running for U.S. Senate) voice with a record of accountability and effectiveness has a path to victory. I will do so by earning the middle third of the electorate and leaving the extreme left and extreme right to the other candidates. 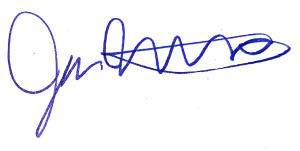 With that public policy philosophy – further clarified in my Guiding Principles and also my survey response to Ballotpedia here – in mind, I am running for Congress to collaboratively work on the issues facing our district and state so we can move our nation, state, and diverse community forward, together. What does that mean (further detailed in my Issues)? America should have strong national defenses which judiciously protect US interests and allies around the world; and, which support an America as a welcoming force for good at home and abroad. Economic policies which support entrepreneurial and economic mobility for all Americans amidst rapid changes in society and technology. Responsible domestic policies which serve to create a country that effectively and sustainably uses its resources to maintain public services and infrastructure equitably for Virginia and for all Americans. Societal policies which fully support socio-economic realities and are equitably administered for all Americans. Give me feedback – If I don’t know what you are thinking or wondering, I can’t help. You can call 804-476-0768, email 7thdistrict@joeforvirginia.com, go online joeforvirginia.com or Facebook @joeforvirginia or Twitter @joeforvirginia. Let me know what’s important to you in and what I can do to help as a candidate and, once in office, as your representative. Volunteer – Many hands make light work. Please contact the campaign to help garner sign locations, canvassing, and other campaign responsibilities. Spread the word – Social, professional, and political circles are interconnected and overlap. Tell everyone with whom you come into contact that you support Joe for Virginia. Donate – any donation helps, no matter how small. I do not have party machine and/or major donor backing and yet I only need a fraction of their sums to win. Please go to our donation page (yes, we take Bitcoin, too) and help me communicate my message to win. Vote – I’d appreciate a vote for me, but no matter who you support, please get out and vote. Recent years’ elections continue to show us that voting – or not – still matters. Just do it! Election day is November 6, 2018. 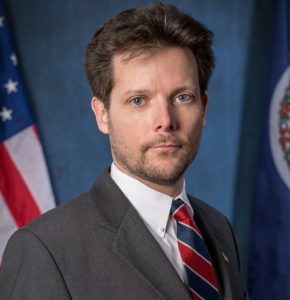 As it approaches, I will be barnstorming the district, participating in events, forums and debates (running list of public events here); and using all manner of media and to add my voice to the debate about how best to represent the citizens in the 7th Congressional District and the whole of Virginia. Please stay tuned for meet-and-greet events around the district starting in mid-September.